The Bay Transit Annual Roadeo is an event with multiple opportunities for training, skills development and camaraderie as 69 Drivers throughout the Region compete to be the best Driver in the organization. 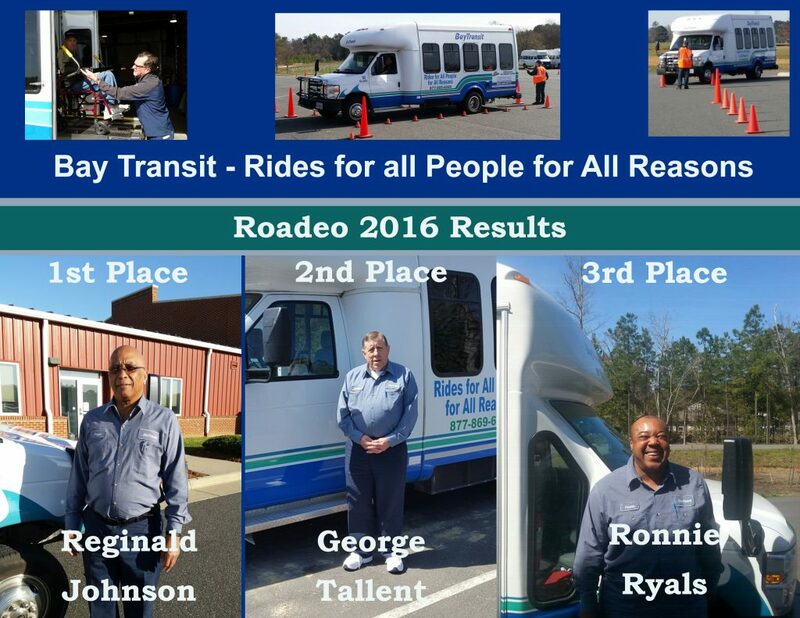 The top three Drivers become eligible to participate in the State Roadeo (to be held in Chesterfield, VA) on Saturday, April 9 and the winner of that event qualifies for the National Roadeo (to be held in Portland, OR) on Sunday, May 22. 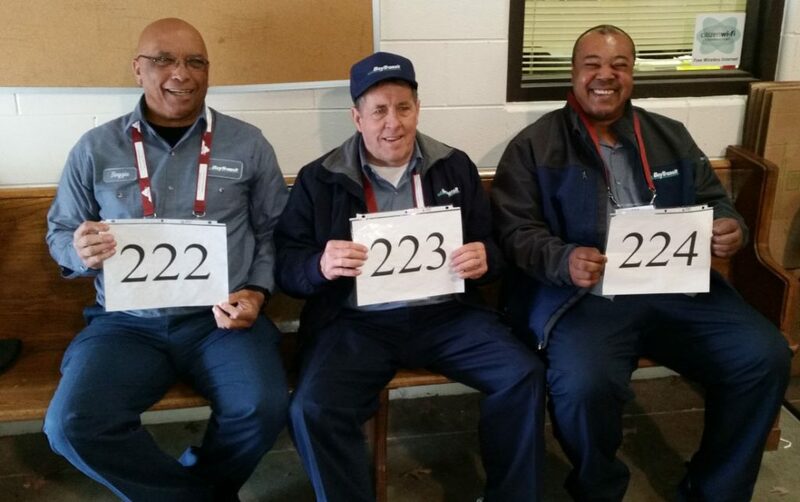 Three days of competition were completed at the Gloucester and Warsaw Transit Facilities. 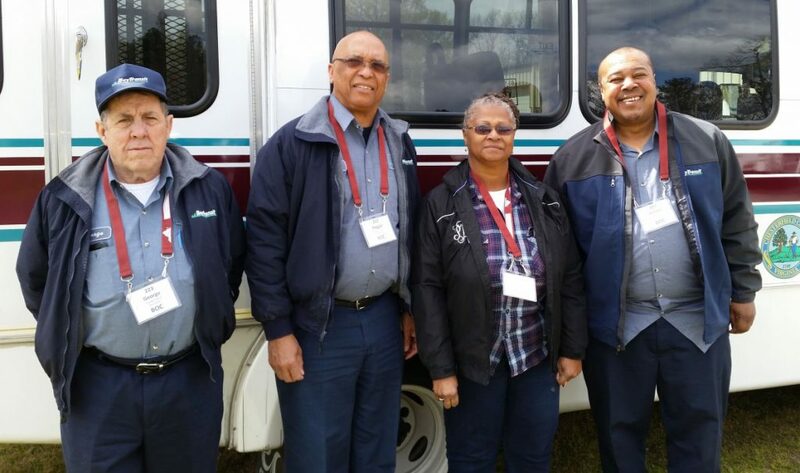 A was a great day of skills competition, professional development and camaraderie as over 50 Drivers from across the Commonwealth of Virginia participated in this annual Roadeo. Bay Transit was well represented with three Drivers (combined experience of over 27 years) that demonstrated outstanding knowledge and skills throughout the Roadeo. ALL SMILES AND READY TO GO!!! !